Il Divo has always stood out for its peculiar mix of opera and pop in songs of different genres, and is the most important reference in the world of the crossover groups of classical music. Since its debut in 2004, IL Divo has triumphed on the most important venues around the world, and has sold over 30 million records throughout its career. First discovered and mentored by Simon Cowell in 2003, the group composed by the Spanish Carlos Marin (baritone), the Swiss Urs Buhler (tenor), the Frenchman Sebastien Izambard (tenor) and the American David Miller (tenor), became a pioneer of a musical genre unknown until that time when in 2004 they released their debut album “IL Divo”. Since then, the international four-member group has become the world leader in its genre, and has achieved a second to none success around the world, performing before personalities like as former US presidents George Bush, Bill Clinton or Barack Obama , or the Queen of England. With hits like “Regresa a Mi” (Unbreak My Heart), “The Time Of Our Lives” (“The Official Song of the 2006 FIFA World Cup),” “I Believe In You” (Je crois en toi) a duet with Celine Dion, or now in his latest album “Hola” (Hello) version of the worldwide success of the singer Adele, have achieved to sell over 30 million records, 50 No.1, 160 gold and platinum records in more than 33 countries, and six world tours with all the tickets sold out in the most important venues around the world. Il Divo has published eigth studio albums so far. After his debut album that bore his name (and whose sales resulted their first Platinum album), his later albums – “Ancora” (2005), “The Christmas Album” (2005), “Forever” (2006), “The Promise “(2008) and” Wicked Game “(2011) – have managed to repeat the perfect formula between pop music and the vocal virtuosity of the opera, which has given them such popularity these years. With their recording in 2013 of “A Musical Affair”, they celebrated the classics of Broadway and the West End. Later in 2015 they released their album “Amor y Pasion” compiling the best Latin songs, with which they managed to reach number 1 on the Latin Albums Chart in their first week. IL Divo is now releasing “TIMELESS”, its 10th studio album and first with Decca Gold (Universal Music), an album full of songs from the 20′ to the present, which has already achieved in the first week from its release, get into the first place of sales in countries like Japan and the United Kingdom, and that they will be touring all over the world in 2018, hoping to once again delight their unconditional legion of fans. 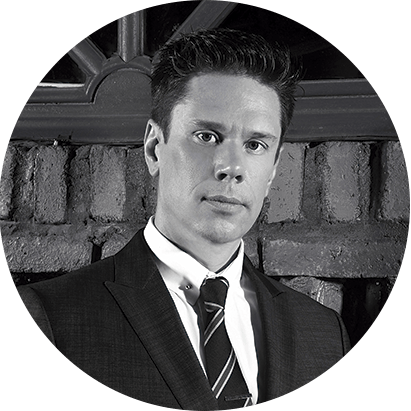 Born in San Diego, California, on April 14, 1973, although raised in Littleton (Colorado), David Miller is an American lyric tenor with a prodigious vocal record. From an early age, he participated in several musical works at school. He attended the Oberlin Conservatory in Ohio, where he graduated with a degree in Vocal Performance and Opera with excellent grades. After his studies, he was a resident artist of the Pittsburgh Opera and sang as lead vocalist with some of the most important opera companies in the Americas, Australia and Europe. I think that opera is the pinnacle of expression through voice. However, the experience of the popular version of Lurhman’s “La Boheme” encouraged me to take my head beyond the opera, and start using my voice in an even more passionate way. On May 6, 1998, he sang along with other kids for former President Bill Clinton in the White House. In 1999 he performed at the Teatro Municipal Santiago de Chile as Tybalt, in Bellini’s production of Capulets and Montagues, at the Savonlinna Festival along with the Los Angeles Opera. In the 2000-2001 season he played the role of Percy in Anne Bolene de Donizetti in Pittsburgh with Juan Mauceri. Miller began in the flamenco opera as Cassio during 2001 and 2002. Back in the USA he participated in The Tales of Hoffmann in Hartford (Connecticut). He worked with several US companies performing several roles, including Des Grieux in Manon; Romeo in Romeo et Juliette; Werther; Alfredo in La Traviata; Tamino in The Magic Flute and with very good reviews and much success at La Scala in Milan in the year 2000 in his role as Tony in West Side Story. His best operatic work to date has been his role as Rodolfo in 2002-2003 in Baz Luhrmann’s version of Puccini’s La Boheme. This theater show modernized the opera by trying to attract a younger audience to Broadway. David was about to make his debut at the New York Metropolitan Opera when he was proposed to join IL Divo. In 2004, Miller signed his contract to be a member of the now well-known musical quartet alongside Spanish baritone Carlos Marín, Swiss tenor Urs Bühler and French pop singer Sébastien Izambard. Born in Rüsselsheim, on October 13, 1968, although raised in Mörfelden-Walldorf (Hesse, Germany) and later in Madrid from the age of 12, Carlos Marín is a Spanish lyric singer, producer and manager, with a very broad vocal register, which ranges from the low register of a baritone to the top register of a dramatic tenor. At eight years of age, his incipient vocal prodigy made him arrive to release his first album in Germany produced by Pierre Kartner, better known by his pseudonym “Father Abraham”, a renowned Dutch composer and music producer known worldwide for his success “The Song of the Smurfs “. The album, titled “The Little Caruso”, contained songs such as “O Sole Mio” or “Granada”, singing the latter before an audience of 700 people at the age of eight. At the age of ten he released his second album entitled “Mijn Lieve Mama” (My beloved mom) in Dutch. This first musical experience led him to study piano and solfège and finish his singing career at the Superior Conservatory of Madrid. Later, he expanded his singing studies with the great maestro Alfredo Kraus, with Montserrat Caballé and Jaume Aragall. Singing is my way of saying what I feel, my way of life. Sometimes when I throw a melody to the audience I feel sad remembering how my father, who unfortunately is no longer with me, liked that song, or melancholy because as time goes by, or joy … the same joy I felt as a child when I sang it for the first time. Singing is what makes me feel alive, so thank you for letting me continue making a living from what I love. After winning with 19 years the television contest “Gente Joven” in the spanish TV, he went through several television programs as a singer, and with 20 years, he was already a big star in Spain. He made a name in the music and lyrical industry participating in various competitions as a singer: the “Jacinto Guerrero” where he won the first place, “Francisco Alonso” and “Julián Gayarre” in 1996, where he won second place as best male singer, among others. 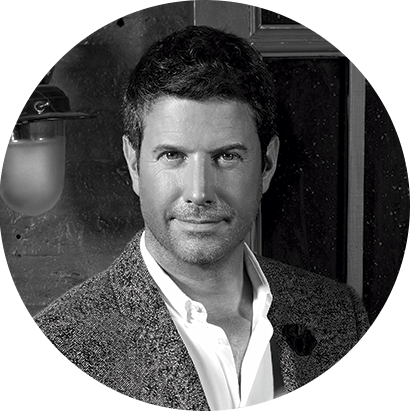 Carlos Marín has participated in a large number of operas, zarzuelas and musical theater plays before becoming part of Il Divo. Marín has been acclaimed as a primo baritone in several operas, including La Traviata, The Barber of Seville, La Bohème, Lucía de Lammermoor and Madama Butterfly. Some of his performances are available on CD, such as Don Giglio’s La capricciosa corretta or Damut de Marina’s version. He has also participated in the zarzuelas of the Sabatini Gardens (Madrid), a meeting point for music lovers in summer, and in the gardens of the Royal Palace of Madrid. Some of his performances can be found on DVD, such as La Gran Vía, La Revoltosa, where he plays the role of Felipe and La Verbena de la Paloma where he plays the role of Julián. 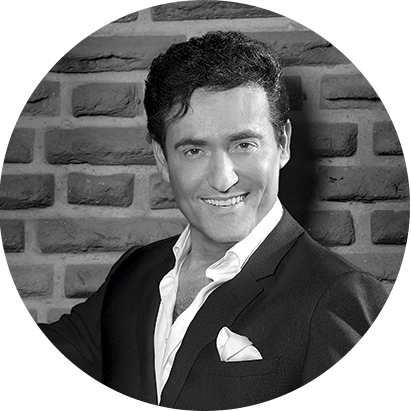 He has also performed in several musicals, beginning in 1993 as Marius in Les Miserables miserables by Víctor Hugo (Teatro Nuevo Apolo – Madrid), and later in “El Diluvio Que Viene” as substitute for José Sacristán, “El hombre de La Mancha” in the role of Quixote, “Peter Pan” in the role of Hook, Grease “where he played the role of Vince Fontaine, and” Beauty and the Beast, in which he played the main role of the Beast. Marín has also collaborated in the production of musicals such as “La Magia de Broadway” and “Peter Pan” on stage and on CD, and is also the musical producer of the Franco-Spanish singer Geraldine Larrosa, known artistically as “Innocence” . He has also participated in movies giving voice to animated characters such as in the animated film “The Nightmare Before Christmas” (Nightmare before Christmas) by Tim Burton, or as the Prince of the Spanish version of “Cinderella” by Disney, made in the year 2000. Since 2011, and in parallel to his career as a member of Il Divo, Carlos performs concerts and solo performances. In 2011, he performed a series of concerts in Spain with his tour “Carlos Marín, in concert” acompanied by Innocence, reaching a full sold out during his four only performances at the Compac Gran Vía Theater in Madrid. On September 19, 2015, he performed at the final gala of the Miss Earth beauty pageant in Mexico. From January 21 to 24, 2016, at the Compac Gran Vía Theater in Madrid, Carlos made a new show with the special collaboration of Innocence, which became a DVD that sponsored by Sony Music, in the spring of 2016 he achieved to be in the first sales positions in Japan and Spain. In 2016, Carlos Marín, along with the singer Innocence, performed the main theme of Televisa’s most successful telenovela in these last years entitled “Las Amazonas. On November 25, 2016, he performed at the Metropolitan Theater in Mexico City, and most recently on August 11, 2018, he brought his show to Sao Paulo (Brazil). Born in Willisau-Lucerne, Switzerland, on July 19, 1971, Urs Bühler is a lyrical tenor and Swiss composer. Urs began his musical career as an idol of rock to later become an idol, or divo, of opera. Being a teenager, with 17 years, in Switzerland, began his musical career with a heavy metal band called “The Conspiracy” in Lucerne, with whom he released his first album in 1991 entitled “One to One”. However, while studying to be a music teacher, Urs had a revelation, and since then he has not stopped listening to classical music. The quality of the great composers, the arrangements and the wealth of their ideas seems incredibly fascinating. Everything is so beautiful, so well built, that it gets me very far inside. In Lucerne, he graduated in Music Education and Voice Studies at the School of the Academy of Music and Church in Switzerland. After a while he moved to Amsterdam, where he obtained a master’s degree in Classical Music at the Amsterdam Conservatory under the tutelage of German baritone Udo Reinemann, while alternately studying privately with Swiss tenor Gösta Winbergh and French tenor Christian Papis. After his training, he began to earn a living as an independent singer between the Netherlands, Belgium, Germany and France, doing oratory and opera, as well as performances in the choir of the Amsterdam Opera. Ba-ta-clan. Opera Minora Festival Aan Zee in Noordwijk. On May 23, 2001. Der Vogelhändler. Nieuwstad Operette in Nieuwegein. In November of 2002. Eine Nacht in Venedig. Nieuwstad Operette in Nieuwegein. On November 7, 2003. Johannes Passion. Oude Kerk, Delft. With Philharmonisch Koor Toonkunst Rotterdam. On April 17, 2003. 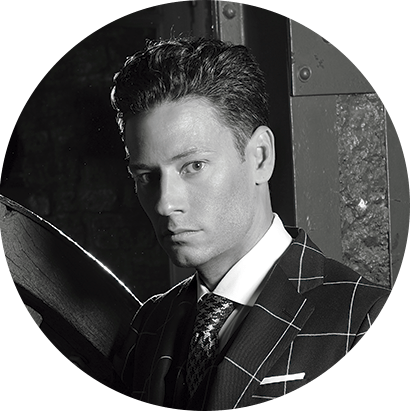 He had been living in the Netherlands for 8 years when he got the opportunity that would change his life, when he was recruited by Simon Cowell to sing in the well-known crossover group Il Divo.